Harlequin Special Edition, 9781335465986, 224pp. Minutes from marrying...the wrong groom Book one of the Maggie & Griffin trilogyRunaway bride Mayor Maggie Spencer doesn't anticipate the fallout from fleeing her wedding. But both the town's rival families are in turmoil, and her reputation is in question. 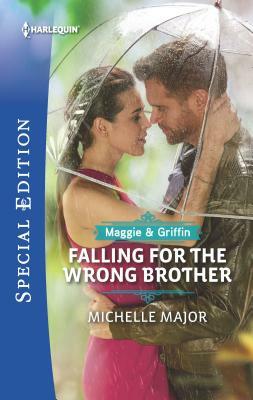 And riding to her rescue is her ex's brother Once, bad boy Griffin Stone ran from challenges, but now, though the timing and the town are against them, he'll have to fight--for Maggie and their forbidden love.